Miami University has applied for tax exemptions in various states based on their state law. If Miami University has been granted an exemption to sales tax on purchases made in a certain state, the certificate will be linked below. If a department is conducting business in another state, it should check below to see if a sales tax exemption applies. The certificate must be filled in (in some cases) and presented to the seller at the time of purchase. 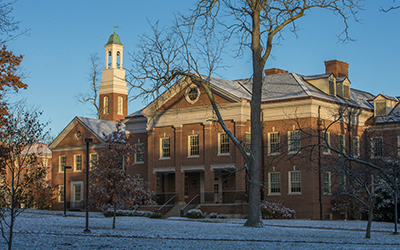 For any questions, contact our Tax and Compliance Coordinator, at TaxCompliance@MiamiOH.edu or 513-529-2694. Exempt Michigan Exemption Certificate 01/01/2020 An additional page is required for this exemption certificate. Please request from Customer Support (513-529-9200). Exempt Tennessee Exemption Certificate 06/30/2019 Must fill out supplier information at bottom of the form.